Art appreciation is incredibly subjective. Our personal palette can be so different from the individual standing next to us that a museum becomes less a display of talent and virtuosity than a litmus-test of what people find preferable and rewarding about art (and, y’know, life). This makes for an exciting and vibrant culture, where we can discuss the merits and deficiencies of art, so as to persuade a fellow human to see work in a different light, or with more depth, or to dismiss it all together. It’s all quite fun, if you can avoid hurt feelings. There is one exception to this whole endeavor, though. We already know who is objectively the worst artist in the world. His name is Peter Tunney. Tunney, for the uninitiated, is a rich guy who decided to make art (not that rare in the world of art), who then took it upon himself to plaster said art on billboards across New York City, passing himself of as some sort of artistic Robin Hood, taking away the scourge of road-side advertising and giving to the people inspirational made-up words. As we’ve explored here before, he is the devil. And now you can buy his pants. 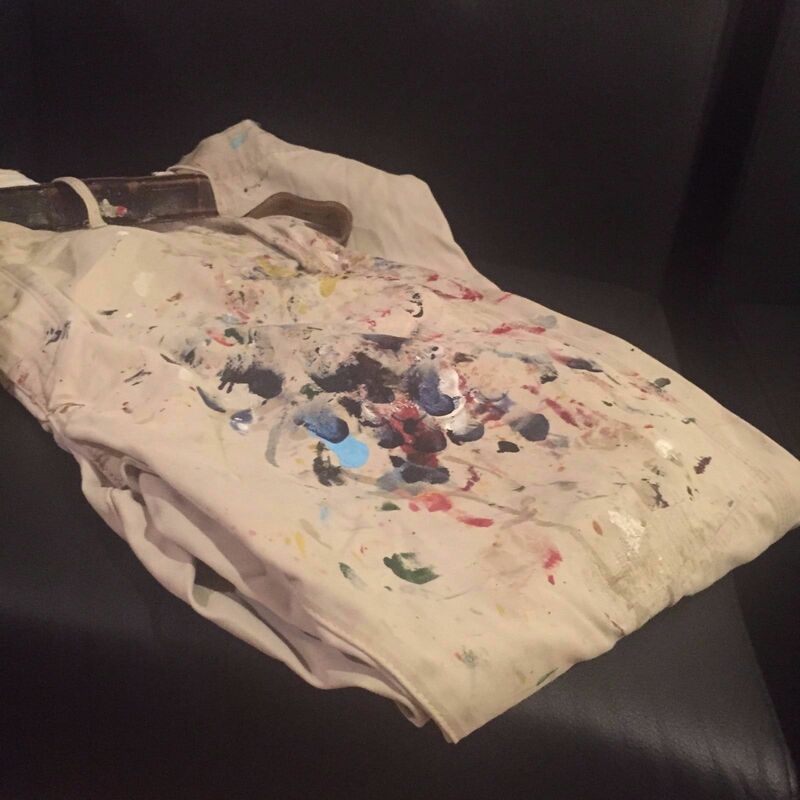 Ebay user “Pantsman2015” has listed a pair paint-splattered pants that they claim belonged to Mr. Tunney, and are trying to sell them for $2,500. For a pair of pants. From a pants dealer! A pants dealer? Pantsman2015, specializing in Celebrity Pants. Most Famous Broker of Pants Worldwide, including pants worn by George Washington, Napoleon, Billy the Kid, William Wallace, all at moments of great historical importance. The equivalent of “Game Worn” Items, these pants protect the courage and inspiration that makes these men great. Washington. Napoleon. Billy the Kid(?!). Peter Tunney. It all makes sense. Pantsman2015 is offering pants worn by Peter Tunney, the Contemporary Artist working out of New York City, that has captured the Art World’s Imagination and Attention with his iconic “City of Dreams” and “Gratittude” pieces. Peter Tunney’s pants are Men’s Lowfit Chino, Size 36, 100% Cotton, and made by Wash. Made in Hong Kong with his genuine leather crocodile belt. As evidenced by the flurry of paint on the item, Peter conceived and created some of his most famous Art in these pants. As Peter does not own many pants this item is indeed unique and one of a kind. His art can sell into the six figures, and this, art, in and of itself, is offered for a minimum bid of $2,000. It’s rare, because Peter simply does not own many pants. In fact, are these the pants in question??? Those look like lowfit chino’s to me! Maybe Peter needs to sell his pants to buy more pants, or maybe he intentionally has such a limited number of pants to create scarcity in the Tunney-pant resale market, thus driving up the price. It’s entirely possible, we must concede, that Tunney might have nothing to do with this pants-sale, and that the pants were taken from him by Pantsman2015 to profit off his good name. Who’s to say Pantsman2015 didn’t rob the tomb of Napoleon himself? Or go back in time to force William Wallace to wear pants instead of a kilt? He’ll stop at nothing for famous pants, it seems. Also, these have not been authenticated by any pants authentication authorities, so they might just be completely counterfeit, like the briefs of Jesus or the cardigan of Attila. 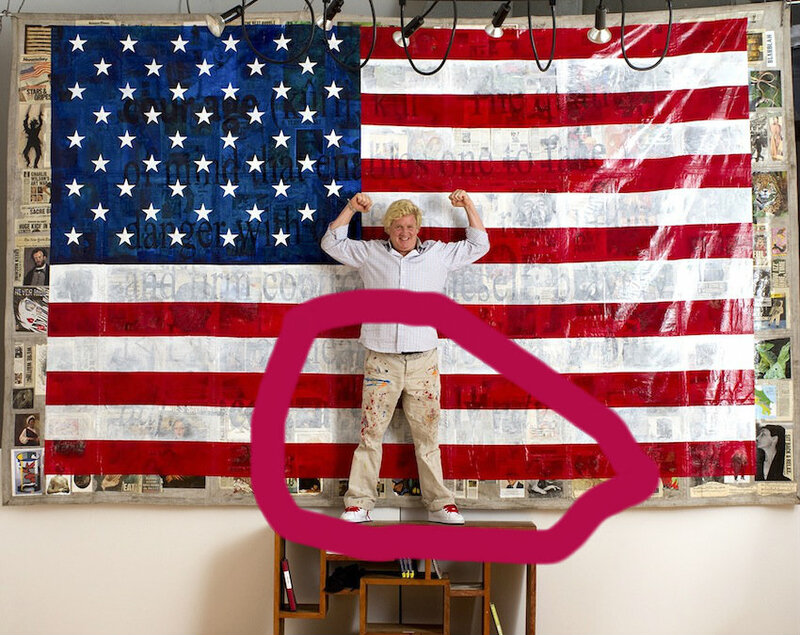 In any case, Full Stop would like to interview whoever wins the ebay auction for the pants of Peter Tunney. Judging by the bid history, we’re guessing that will be Peter Tunney himself (the man needs his pants back! ).